Chicago –(ENEWSPF)–September 14, 2017. 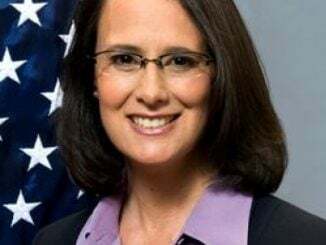 Attorney General Lisa Madigan issued guidance to state, county and local law enforcement agencies to increase awareness and provide an overview of recent state laws and federal actions that impact the authority of Illinois law enforcement to enforce federal immigration laws. 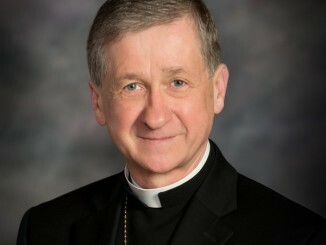 Madigan’s office drafted and issued Guidance to Law Enforcement: Authority Under Illinois and Federal Law to Engage in Immigration Enforcement. The Guidance details the provisions of the recently-enacted Illinois Trust Act, as well as other relevant Illinois laws, and provides background on federal immigration law and the recent federal executive actions. The purpose of the Guidance is to offer a resource for Illinois law enforcement agencies on the impact of the Illinois Trust Act, which was signed into law in late August. The Trust Act prevents law enforcement officials across the state from arresting and detaining people based solely on their immigration status. In the Guidance, Madigan specifically explains the limited authority of local, county and state law enforcement to enforce federal immigration law and the liability law enforcement agencies could face for enforcing federal immigration laws. The Guidance provides specific recommendations on how law enforcement agencies in Illinois can comply with the federal and state laws that limit their authority to enforce federal immigration laws. Madigan also recently launched a “Know Your Rights” awareness campaign to provide guidance to members of immigrant communities, consulates and non-profit organizations to help immigrants living in Illinois to understand their rights and responsibilities when interacting with law enforcement. The Know Your Rights pocket guide and other materials can be found on Madigan’s website. 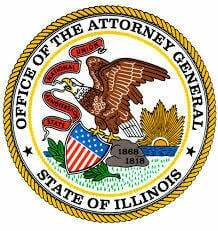 In addition to today’s guidance, Attorney General Madigan joined with 15 attorneys general to file a lawsuit Wednesday to protect Deferred Action for Childhood Arrivals (DACA) grantees. She also has condemned the federal immigration executive orders and has filed 12 amicus briefs in five separate lawsuits challenging the constitutionality of the travel ban executive orders. 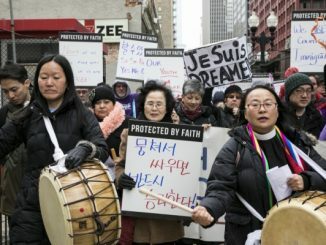 She held an immigration and hate crimes summit in February with local civil rights leaders to discuss the impact of the federal executive actions on the nearly 2 million immigrants living in Illinois and worked with state lawmakers to strengthen Illinois’ hate crimes law. Madigan has issued two letters to Illinois Governor Rauner urging him to fight the executive orders and protect Illinois immigrants and refugees from discrimination and hate crimes. Madigan’s law enforcement guide can be downloaded and printed here.